Even as some within the United Progressive Alliance government say that India hopes to become less of an obstructionist in dealing with the international community on global climate change issues, one top expert believes the Asian giant should take a tough stance at the upcoming United Nations COP15 Climate Change Summit in Copenhagen in December. "From the Indian point of view, if I were a politician, I'd continue to play it hard," explains Mike Hulme, professor at the University of East Anglia's prestigious climate change programme. "From a rational perspective, India has to do what's best for its people." Hulme also feels that 'no silver bullet solution' exists to the climate change problem, and that the upcoming Copenhagen summit in December will ultimately prove to be a cacophony from which little of substance emerges. "These are incredibly serious, incredibly complex issues. To expect them to be completely ironed out during a single event is just unrealistic," he says. Hulme, who is in India for the release of his most recent book, Why We Disagree About Climate Change, is an authoritative voice on the subject: He was the founding director of the Tyndall Centre for Climate Change Research and has helped author highly influential reports for the United Nations' Intergovernmental Panel on Climate Change. 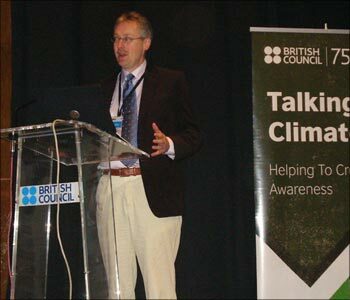 Image: Mike Hulme, Professor at the University of East Anglia's prestigious climate change programme, delivering a lecture in Mumbai. 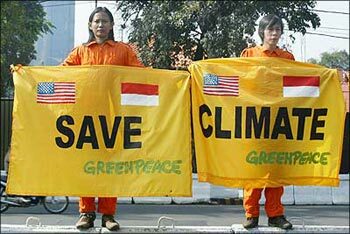 The crux of Hulme's position is that solving climate change should not be seen as an end, but, rather, as a means. "It's the type of issue that can never truly be solved. I don't think a lot of people really get that. A solution to climate change isn't something we can point to and say, 'There, we did it!' Rather, climate change is something we will have to learn to live with." An expert in the nitty-gritty science behind climate change -- which is in his mind unequivocal that man-made global warming exists -- through his turn in the media spotlight over the past few years Hulme has increasingly become fascinated not just with the problem of global warming, but also with how we argue about and frame it. "Why has climate change become the mother of all issues in modern international politics?" he asks, before providing a possible answer. "Never before have we tried to get roughly 7 billion people on the same page, moving in the same direction, about an issue like climate change. It's a fascinating social experiment. Climate change also combines elements from almost every discipline -- politics, economics, physical sciences, communication, anthropology, and so on. It's no wonder then that it's so universal in attracting attention." Image: Splinters of ice peel off from one of the sides of the Perito Moreno glacier. 1. Climate change as a result of market failure, a belief championed by economist Nicholas Stern, which proposes a solution that would involve carbon markets. 2. Climate change as a result of technological hazard, which can be helped by the scaling up of available green technologies, and the creation of new ones. 3. Climate change as a result of global injustice, in which developing nations get short shrift after years of the West, Japan and Russia emitting the vast majority of CO2 and other greenhouse gasses, which can only be corrected by a type of contraction and convergence methodology that puts much of the onus on cutting emissions on already developed nations, a view popularly espoused by Indian politicians, including Prime Minister Manmohan Singh. 4. Climate change as a result of over-consumption, as a result of the increasing pre-eminence of a capitalistic, materialist, consumerist lifestyle, which can be corrected only by a global paradigm shift that emphasises prosperity without 'growth' in the sense we have come to think of it as, i.e., GDP and consumer spending and number of automobiles sold, etc. 5. 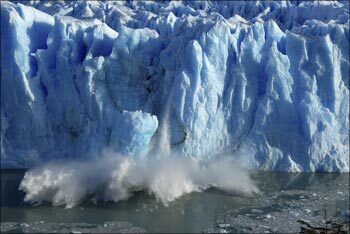 Climate change as planetary tipping point, the most catastrophic and doomsday scenario, which says we have a limited window in which to act drastically to re-engineer the climate. Image: Protests against climate change are rising the world over. "A sixth perspective, perhaps, could be the bold deniers of climate change, who feel that no problem exists, so no solution is needed!" he laughs. "It's so interesting, because there's no right or wrong way to treat the issue, I feel. It depends entirely on your perspective. It's a glass half full or a glass half empty scenario," he explains. "You can logically think that the world is in a perilous position, at the tipping point so to say, or that climate change presents us with an incredible opportunity to change things here and now. And those two responses can occur even when there's fundamental agreement over the science. So, again cautioning that there is no silver bullet solution, I'd say that a combination of the perspectives I've mentioned would probably be the best. At the same time, it's pretty hard to reconcile the market-driven carbon credits solution with a solution that preaches no growth prosperity." As for those who disagree with the science in the face of rather overwhelming evidence, Hulme points to the Internet, which he feels has played a large role in the debate over climate change. "The online world is actually changing the way debates in the science community play out. What before would take a long time, with a lot of painstaking research and peer-reviewed work, is now being thrown around and ripped apart on these blogs in a matter of a week. So science is at a crossroads, where it can retreat into its ivory tower shell, or it can try to engage with the public with a degree of intimacy we've never seen before. One thing though, is that many people with rather strong opinions on the matter seem to be missing the point entirely." 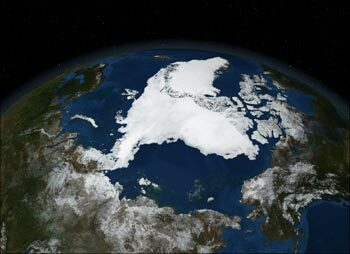 Image: A NASA satellite image shows Arctic summer sea ice. As for more traditional media, Hulme cautions against the sensationalist approach. "Research shows that people actually tune out and turn off when the news is constantly 'catastrophe awaits' and all these other doomsday scenarios. The media has a responsibility to show good judgement . Another interesting issue that Hulme touches on is population control as a way to reduce global carbon emissions. A measure that is too controversial and politically loaded to be addressed by politicians at the moment, he says. "That's definitely a perspective through which to examine climate change. But it's never even touched upon at the international level. If it were to enter the discussion, countries like India and China would obviously take centre-stage." As for steps individual Indians can take to ease their carbon footprint, Hulme's response is rather pragmatic and cautious. "Climate change is primarily a structural issue," he explains, pointing out how issues like public transportation reform would require top-down overhauls. "Of course it's a great symbolic gesture, but it can be misleading to think that a citizen start-up would do anything substantive, especially if it relies on volunteerism. People say they'll do all sorts of things, but won't if it's not compulsive." He also bristles at talk that climate change is 'an inconvenient truth', a term popularised by Al Gore's award-winning documentary of the same name. 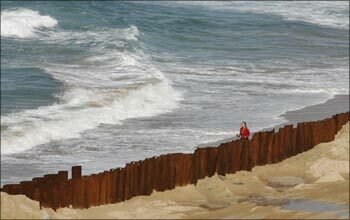 Image: A woman walks next to a wall construction site at south Coogee beach in Sydney. "Climate change is actually quite a convenient truth for many politicians. Rather than dealing with the real inconvenient truths -- such as the failure to address female literacy and other United Nations Millennium Goals -- politicians can hide behind the issue of climate change. It's been manipulated and misrepresented in a hundred different ways." He points to the 10 initiatives making waves in the United Kingdom, where citizens pledge to reduce their footprint by 10 per cent in 2010, as an example from his home country that he thinks is being similarly overblown. "But that's not to discourage those taking up these initiatives. There's a lot to be said for sustainability drives and public health issues, where citizens can make an impact." 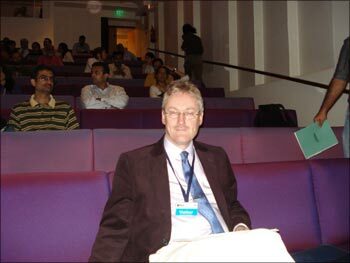 As for the country having its worse monsoon in 36 years in 2009, Hulme warns against drawing definitive conclusions from a single piece of anecdotal evidence. "What happened 36 yeas ago?" he asks. "What happened during the driest monsoon before that?"